Western Blot of Anti-Rat IgG (H&L) (GOAT) Antibody (Min X Bv Ch Gt GP Ham Hs Hu Ms Rb & Sh Serum Proteins) . Lane M: 3 μl Molecular Ladder. Lane 1: Rat IgG whole molecule . Lane 2: Rat IgG F(c) Fragment . Lane 3: Rat IgG Fab Fragment . Lane 4: Rat IgM Whole Molecule . Lane 5: Rat Serum . All samples were reduced. Load: 50 ng per lane. Block: ABIN925618 for 30 min at RT. Primary Antibody: Anti-Rat IgG (H&L) (GOAT) Antibody (Min X Bv Ch Gt GP Ham Hs Hu Ms Rb & Sh Serum Proteins) 1:1,000 for 60 min at RT. Secondary Antibody: Anti-Goat IgG (DONKEY) Peroxidase Conjugated Antibody 1:40,000 in ABIN925618 for 30 min at RT. Predicted/Obsevered Size: 25 and 55 kDa for Rat IgG and Serum, 25 kDa for F(c) and Fab, 78 and 25 kDa for IgM. Rat F(c) migrates slightly higher. Specificity Assay by immunoelectrophoresis resulted in a single precipitin arc against anti-Goat Serum, Rat IgG and Rat Serum. Characteristics Anti-Rat IgG (H&L) conjugated to ATTO 488 is designed for STED microscopy, FRET, immunofluorescence microscopy, fluorescence based plate assays (FLISA) and fluorescent western blotting. This product is also suitable for multiplex analysis, including multicolor imaging, utilizing various commercial platforms. This product is designed for STED microscopy, FRET, immunofluorescence microscopy, fluorescence based plate assays (FLISA) and fluorescent western blotting. This product is also suitable for multiplex analysis, including multicolor imaging, utilizing various commercial platforms. Purification This product was prepared from monospecific antiserum by immunoaffinity chromatography using Rat IgG coupled to agarose beads followed by solid phase adsorption(s) to remove any unwanted reactivities. Handling Advice Avoid cycles of freezing and thawing. This vial contains a relatively low volume of reagent (25 µL). 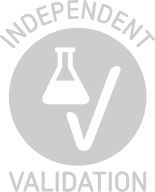 To minimize loss of volume dilute 1:10 by adding 225 µL of the buffer stated above directly to the vial. Recap, mix thoroughly and briefly centrifuge to collect the volume at the bottom of the vial. Use this intermediate dilution when calculating final dilutions as recommended below. Product is photosensitive and should be protected from light. Storage Comment Store vial at -20 °C or below prior to opening. Store the vial at -20 °C or below after dilution.